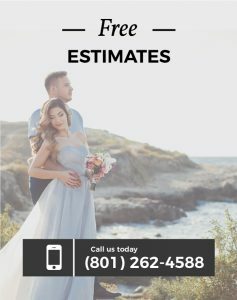 Engagement rings may seem like they have been around forever, but the truth is that they have not been around for that long relatively speaking. Sure, people were still getting engaged and married, and on a side note society had rings, but they were not the symbol that we see them as today. As the process of purifying metals was far more arcane than it is now, pure metal rings were difficult to come by and even more difficult to create. Most rings around the middle ages were made of copper-based alloys, and precious stones did not really appear in rings until the 1100’s. The largest influence that we see today is a mix of Victorian and 1920’s influence. To fly through a brief history, rings have been around for quite a while- dating back to at least Rome. In ancient times, we have records of engagement rings in Rome, Greece, and Egypt. However, the tradition more or less disappeared for a while, and Middle Ages tradition favored a ring be worn only upon official marriage. After the Middle Ages, we see ring traditions evolve again in about 1477 when the Archduke Maximilian of Austria gave his fiancé a diamond engagement ring. This influenced our tradition of today as we now have engagement rings as well as a wedding band, though for a while the engagement ring and wedding ring were fighting for the right to be the primary ring. High-class societies began giving engagement rings to their betrothed, and that tradition leaked down to the lower classes over time, and today we can see that most women have engagement rings as well as a wedding band after the marriage ceremony. Moving past the Reformation and Enlightenment eras, the main change is that it was finally decided to have an engagement ring and a wedding band if desired. 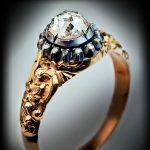 The Victorian era on the other hand (pun intended), brought it significant changes to the wedding and engagement ring world. Diamond mines were found across South Africa in about 1866 and by 1872 there were millions of diamonds being excavated every year. This made diamond rings more available to the general populace but were still found more often in the more noble classes and most common folk still had simpler engagement bands. Victorian rings (right) were nearly the start of common wedding and engagement rings, only briefly proceeded by Gregorian rings. We can see the filigree exemplified in both the antique ring as well as the newer ring. 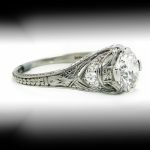 While most of us do not have dreams of owning an authentic Victorian ring, many of us do appreciate many of the qualities of the ring. The good news is that we as a culture have learned how to improve the metallurgy process to great levels and can customize rings or buy rings that have many of the same features that the original Victorian rings have. Another similarity between these rings is that both have a halo on them. 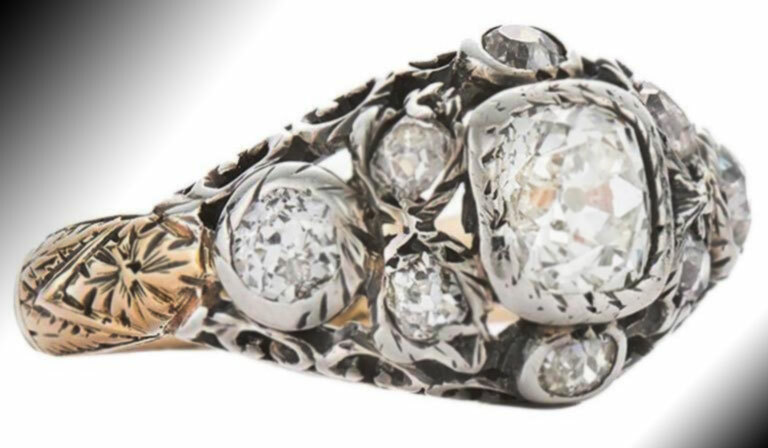 The Victorian ring’s halo is metal and more than likely has a purpose of holding the stone in place with some aesthetic rather than to showcase the ring as many engagement rings do today. As we move to the 1920’s, we can see that rings took a turn to become more stylish. These rings also have a significant influence on current trends, as most rings now have some kind of side stones and/or surrounding stones rather than the solitaire diamond that is still a classic, but a less unique ring design overall. With the side stones emerging, halos also began to appear out of other diamonds and precious stones. 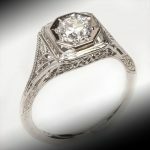 About this time is when white gold rings became popularized as well. This trend would also continue as more and more unique ring metals and material would emerge. It is easy to understand why we would want to evolve and innovate our rings, we want them to be personal and unique to us. The turn to now (2018) shows the rest of the evolution of engagement rings as there are so many variations of very similar rings. 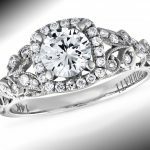 Rings are still changing, being mass produced, and having a customized ring is almost the only sure-fire way to guarantee that your ring is a completely unique and one of a kind ring.